One day after the Islamic State group killed or injured about 500 people in a series of attacks in Paris, Sen. Bernie Sanders, I-Vt., linked climate change to the spread of terrorist groups overseas. At the second Democratic presidential debate, held Saturday in Des Moines, Iowa, Sanders was asked whether he stood by his previous claims that climate change was the No. 1 threat to national security. He said he did. "Climate change is directly related to the rise of global terrorism," Sanders said, adding that it would cause nations to start "struggling over limited amounts of water, limited amounts of land to grow their crops, and you're going to see all kinds of international conflict," ABC News reported. Sanders backed up his statement by mentioning what "the CIA says," a likely reference to a July 2015 report from the U.S. Department of Defense that found "global climate change will aggravate problems such as poverty, social tensions, environmental degradation, ineffectual leadership and weak political institutions that threaten stability in a number of countries," according to a news release. Going into Saturday's debate, Sanders was trailing front-runner Hillary Clinton in the polls -- the former Secretary of State had 56 percent of the vote, and he had about 32. The duo had left former Maryland Gov. Martin O'Malley far behind, however, with the support of only about 3 percent of likely Democratic primary voters, according to the survey aggregator HuffPost Pollster. In preparing for the debate, pundits told Politico the candidates were thinking ahead to the February Iowa caucus. With Saturday's event in Des Moines, the debate was seen as a chance to score points with important voters. Sanders planned to be aggressive but respectful, while Clinton was likely to stay cool and collected. “I wouldn’t launch negative attacks. I don’t think there’s any big reason to do it right now," adviser Bob Shrum told Politico. "Going into the first debate, they were very worried about Sanders’ surge. And I don’t think he’s still surging." O'Malley, who gained valuable exposure during the first debate, on Oct. 13, was expected to continue attacking his opponents. It was risky but possibly necessary to keep him in the race. “I think he has to hit Clinton. Go after the queen, so to speak,” political journalist Douglas Burns told the Des Moines Register. 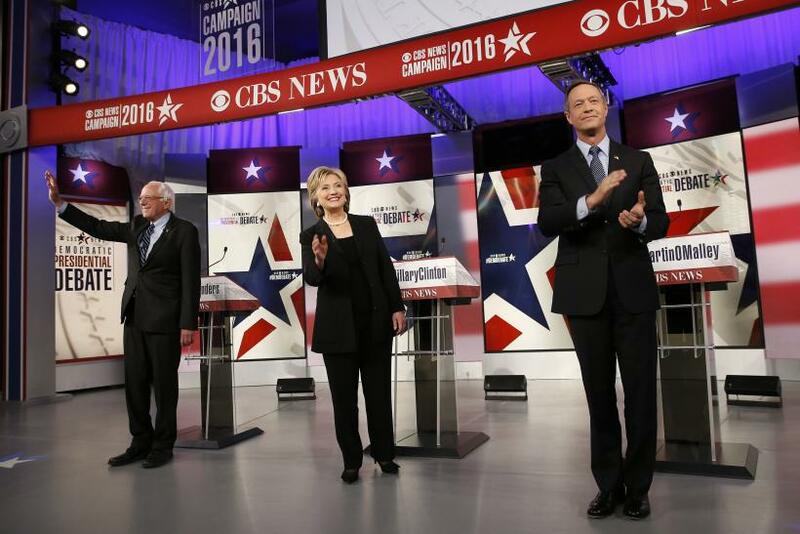 The next Democratic debate is set for Dec. 19.